Alaska was playing Northern Michigan this weekend, so I made the short drive from Houghton to Marquette. 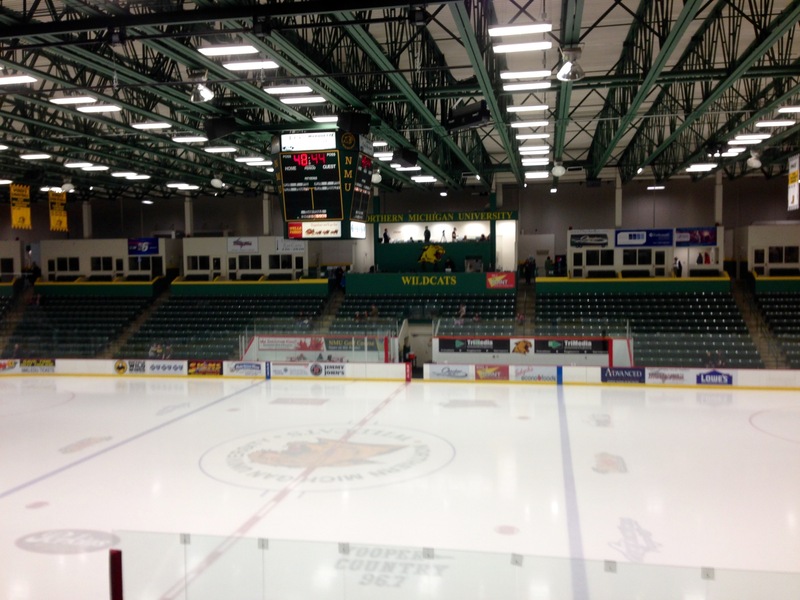 Built in 1999, the Berry Event Center (BEC) is one of the few Olympic sized rinks in the WCHA. 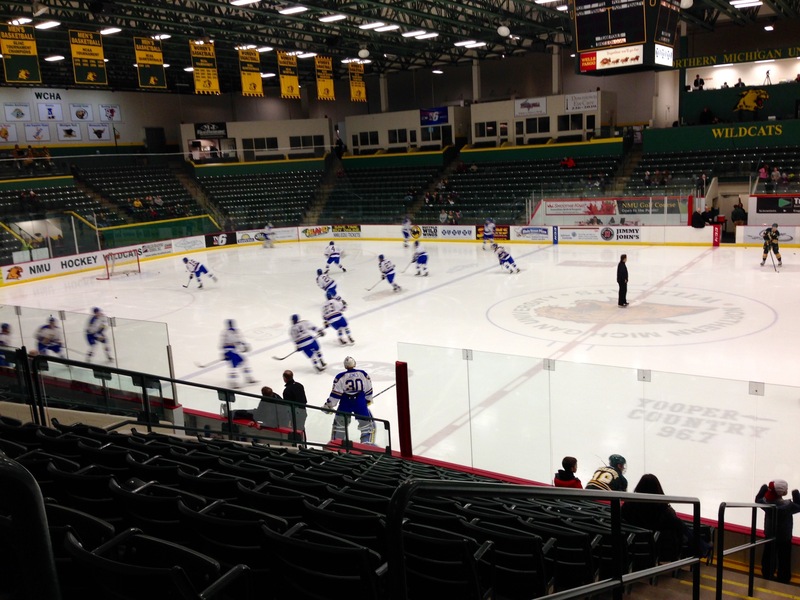 The Carlson Center in Fairbanks is another, so there would be no advantage there. The single bowl rink seats 3802 for hockey. Alaska came out flying tonight, after winning in OT on Friday. In spite of that, NMU’s Denver Pierce opened the scoring. Fairbanks native, Alec Hajdukovich, scored a power play goal to tie it off of a deflection. Tyler Morley of the Nanooks then scored off of a Hajdukovich assist to take the 2-1 lead into intermission. The Nanooks’ deep seeded and unnatural desire to spend time in the penalty box then took over. They had five penalties in the second period (six if you count the boarding penalty at the end of the first – which I do). Alaska did a great job on the penalty kill, but they were still lucky to give up only one goal to Dominik Shine, and went into the second intermission tied at 2. Alaska came back out flying in the third, and really dominated play. Justin Woods sniped a shot from the point for a PPG early in the period, but that was the last opportunity the Nanooks’ capitalized on. Ryan Trenz would tie the game up for NMU, and Barrett Kaib put the Wildcats in front. Brock Maschmeyer added an empty net goal for NMU. A missed opportunity for Alaska to get a road sweep in Marquette. Jesse Jenks had 31 saves for Alaska, and Mathias Dahlstrom had 35 for Northern Michigan. Attendance was 2120. This entry was posted on Saturday, January 16th, 2016 at 11:40 PM	and tagged with driving, hockey, ice, northern michigan, photo, travel and posted in sports. You can follow any responses to this entry through the RSS 2.0 feed.